Tonight we'll celebrate our 49th year at the KTQ Summer Soirée. A donor has challenged us to raise $25,000 tonight - if we do, they will match that amount! Even if you cannot attend, you can join in! Please text KTQ, your pledge AMOUNT, and NAME to 56512 (eg: KTQ 100 John Doe). 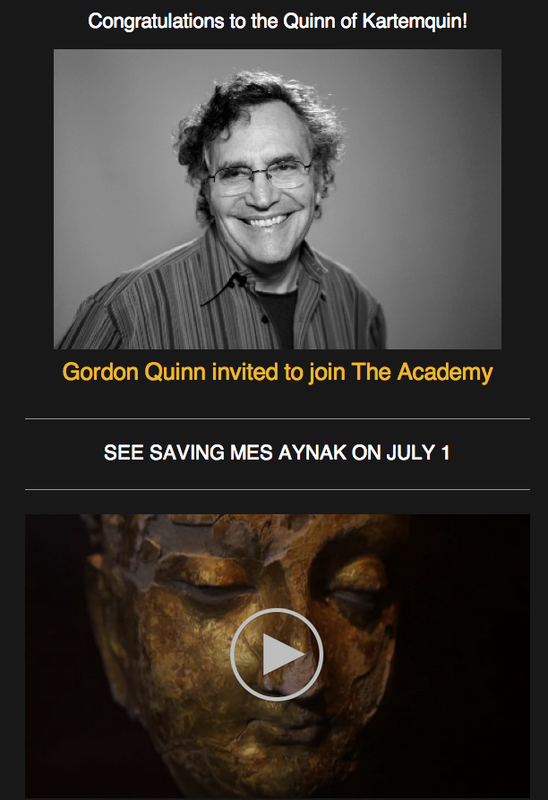 We have much to cheer: our 2015 Diverse Voices in Docs fellows aced their pitches to top documentary funders; On Beauty will open in theaters in LA and NYC this July; Hard Earned garnered superb audience reactions in its TV debut; Almost There was a hit in Sheffield in London; and Saving Mes Aynak is inspiring attention and action worldwide. We look forward to discussing all this and more - including new projects - at the #KTQSummersoiree, while enjoying this view!